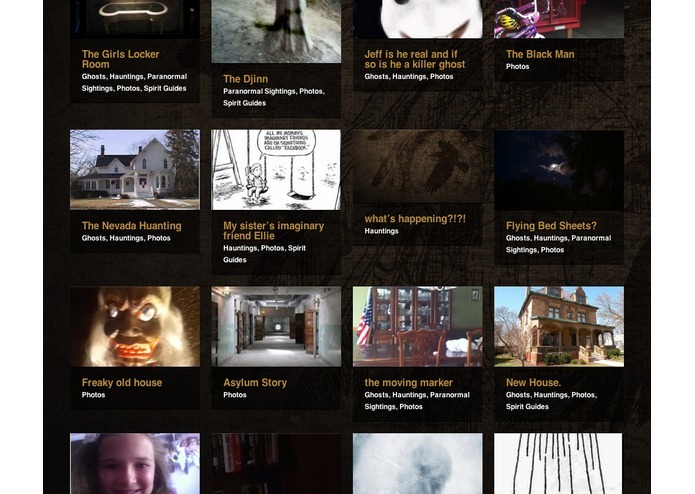 A archive of ghost stories and paranormal activity with embeddable components that allow you to instantly turn your website or app into a paranormal archive of it's own. 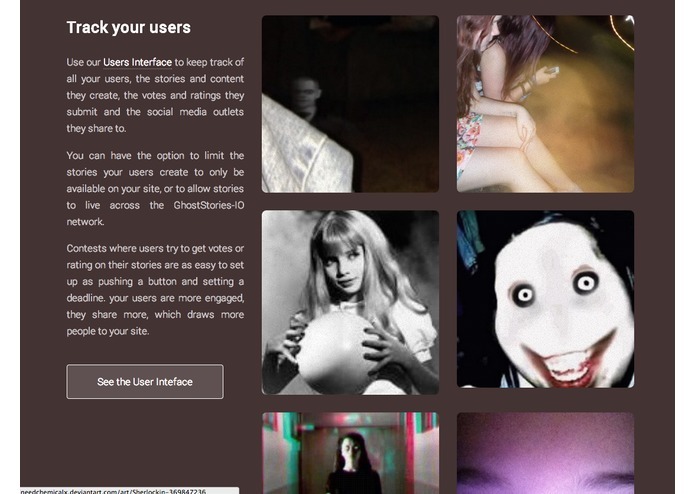 The embeddable list components allow you to show a curated list of ghost stories, complete with media including photos, sound files and video, and in a style that matches your theme, with very little effort. 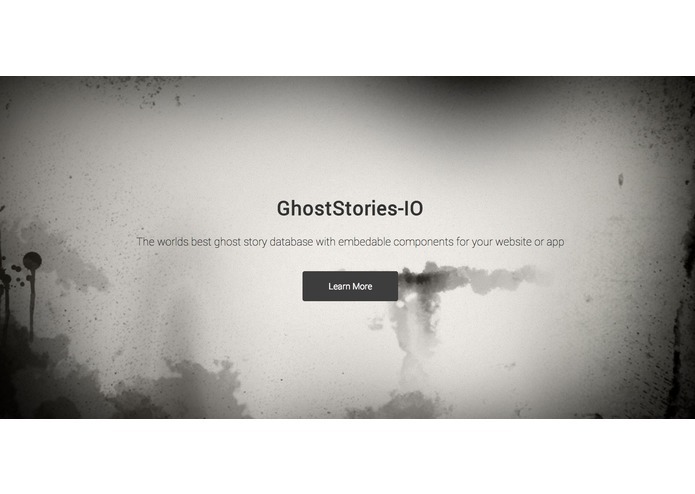 The embeddable creation components allows your users to add ghost stories to your site or app easily, letting them add their own images, videos and other media, with options for tagging, categorizing and and an approval process so that only the stories you want end up on your site or app. There are also many great features offered by GhostStories-IO, such as user ratings, rankings, contests, social media sharing, a developer API, and much more.